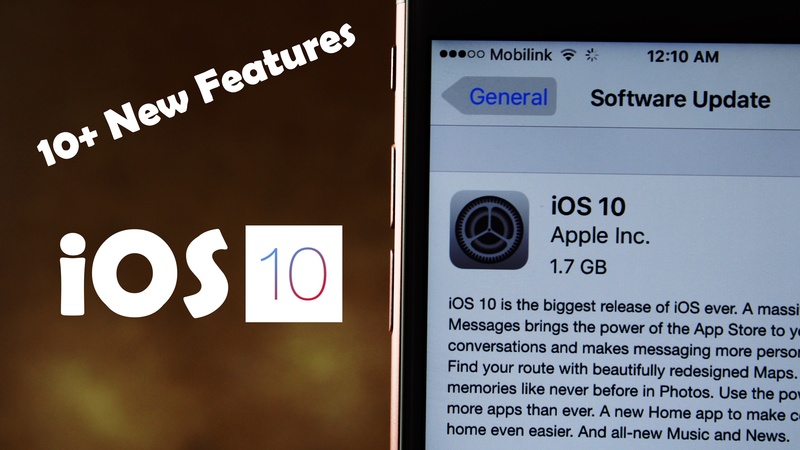 Apple released iOS 10 GM on Tuesday, This update only be available to members of public beta program if you’re already using iOS 10 beta 8 or other beta’s you’ll that software update. The final release of iOS 10 will be available on September 13. Note:- If you’re interested in installing iOS 10 GM. This update is pretty much stable then other beta’s versions. Lot’s of glitches been fixed like notification bug. What is iOS 10 Gold Master? what’s GM gold master this is the final build and it’s going to be identical to the final release in just a week here so i cannot wait until that happens but for now I wanted to cover this GM release and show you guys what’s new there actually are a few changes in the last few betas there was almost nothing so it’s the refreshing to see at least a little bit change here so this actual build number is 10.0.1. If we jump into the settings here. I want to show you guys that once you guys do update to the gold master which you can do from any beta over here in the software update page you’ll see 10.0.1 it’s a very interesting build number very long now but that’s the tenth iOS beta so before i get into the other features i just wanted to share my opinion with Apple why did they not add a dark mode i looked around and i haven’t seen anything for night mode so unfortunately iOS 10.0.1 does’t ship without yet however hopefully it does come in the future because the space black iPhone 7 plus. Apple missed out a big opportunity with dark mode and iPhone i think it would have blended together well hopefully in a future update like night shift we could get that like 9.3 introduced that maybe 10.1 10.2 will introduce something like that, that be really really cool.